JPU Records is proud to introduce brand new Japanese rock band ELFRIEDE! The quartet will release their debut album “real-Ize” in April, with full details about the band, the album and their music videos are available on the brand new JPU Records website. 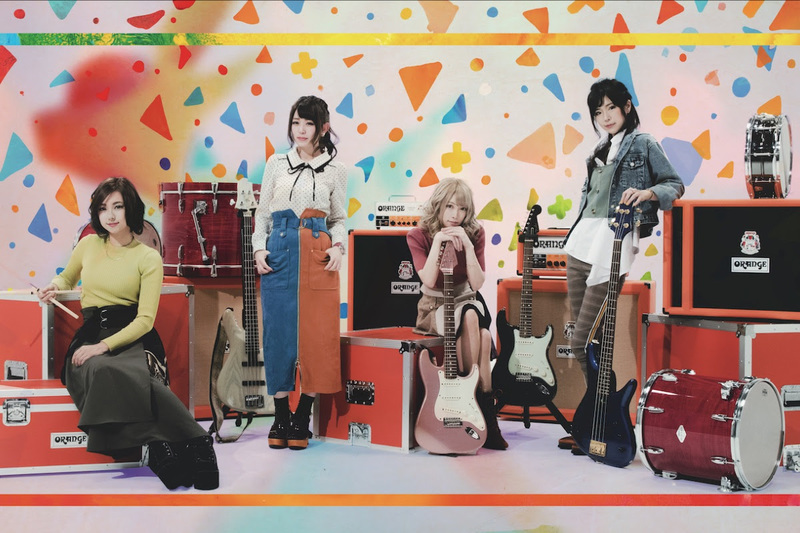 ELFRIEDE consists of Ryo Yamabuki (guitar), Rina Hoshino (bass), Yu-yan (drum) and Mikuru (vocal). Ryo has been featured in several of Japan’s top guitar publications, including YOUNG GUITAR and Player magazine and is also a popular cosplay icon with over 100 thousand followers on Twitter. Bass player Rina also has a solo career in jazz fusion and both members have supported bands on stages across Japan. It was from doing this that Ryo and Rina could meet drummer Yu-yan and vocalist Mikuru and complete ELFRIEDE’s electric line-up. Despite ELFRIEDE’s short history, the band has formed a solid and eager fanbase amongst Japan’s indie rock scene. The initial pressing of their self-released EP –LOVE &- sold out despite only being available at gigs and via their website, and more recently when the group set up a crowdfunding campaign to hijack the streets of Shibuya for a video advertising campaign, they succeed their goal by 229 per cent! The campaign will see their promotional video blast across seven giant screens in Shibuya, from the famous scramble crossing up towards Tower Records (one of the biggest CD shops in the world) as well as on trucks with video screens and speakers on the back. JPU Records’ edition of real-Ize will feature an extended booklet containing the album’s lyrics and English translations and transliterations and will be released on CD from 3 May 2019. Its digital release will be simultaneous with its Japanese release on 24 April. New EP Battle Against Damnation Cover Art and Tracklisting Revealed. 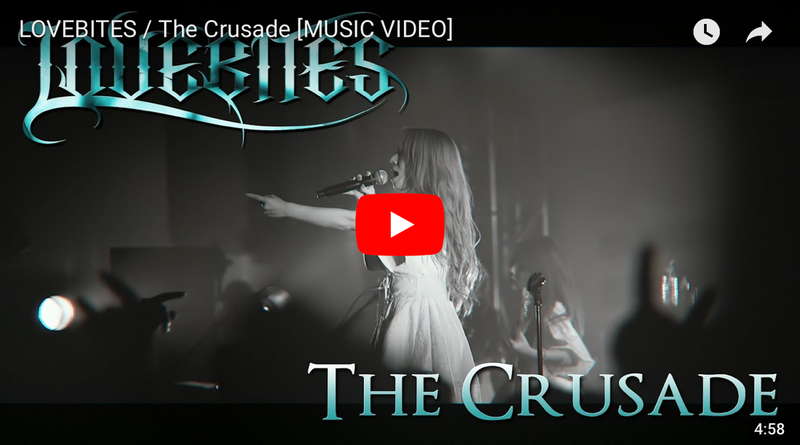 Japan’s heavy metal crusaders LOVEBITES follow up their blistering debut album Awakening From Abyss with new mini-album Battle Against Damnation, revealing its track listing, cover art and video to lead track “The Crusade” today – watch it HERE. The band have partnered with JPU Records for the mini-album’s release on 08 June 2018in North America and Europe, and in Japan on 06 June 2018 via Victor Entertainment. The release is also available for digital pre-order now via iTunes with “The Crusade” as an instant gratification download – get it HERE. Lead track “The Crusade” sees LOVEBITES – who are nominated “Best New Band” in Metal Hammer’s Golden Gods Awards 2018 – pay their respects to British heavy metal. Their admiration for it deepened further following the band’s appearance at a UK event and their headline performance at The Underworld in Camden in November 2017. “Break The Wall” is the first song joint-written by miho (bass) and miyako (guitar, keyboard) and is propelled forwards at breakneck speeds through thrash metal riffs and grandiose solos, and features a change of atmosphere midway through before hurtling towards its dramatic finale. The final two tracks “Above The Black Sea” and “Under The Red Sky” share similar names and themes. The former written by miyako, the latter by LIGHT BRINGER keyboard player Mao, both tracks see the classically trained pianists pen a metal-themed love letter to the works of Sergei Rachmaninoff, a composer from the Russian empire of the late Romantic period and inspirer of metal today. “However, we consider that humanity’s most serious adversary is its own destiny. Sometimes it’s essential to defy the fate bestowed from the heavens. Battle Against Damnation depicts such a fight.” (asami). Skilful engineers Mikko Karmila and Mika Jussila of Finland’s legendary Finnvox Studiosonce again return for mixing and mastering duties on all tracks. Similarly, the cover illustration is handled once again by David Lopez Gómez and Carlos Vicente León, the Spanish team behind LOVEBITE’s debut album cover art and German heavy metal band HELLOWEEN’s best album SWEET SEDUCTIONS. 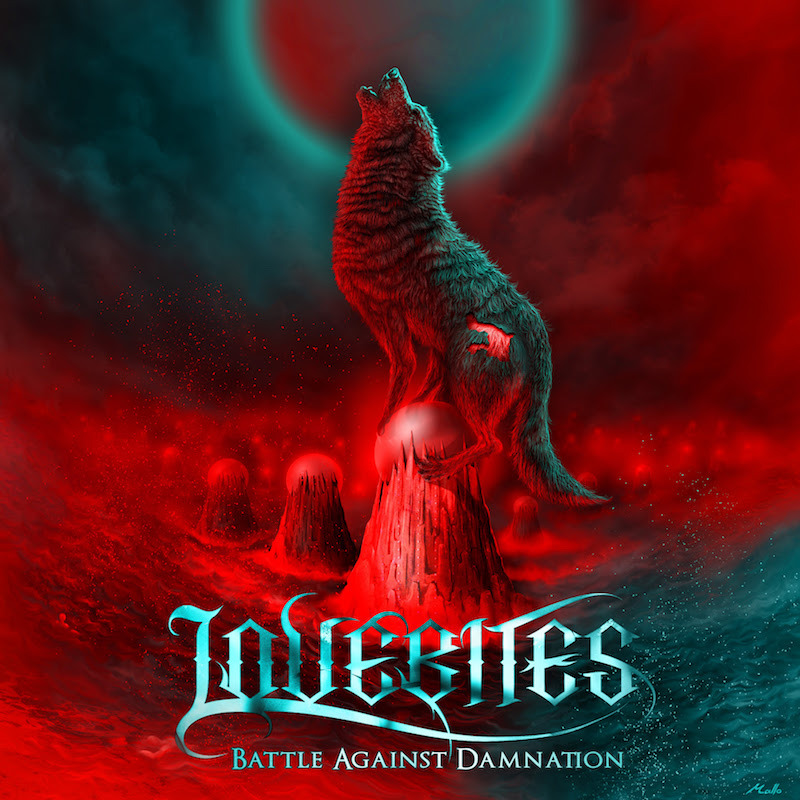 LOVEBITES will appear at two of Europe’s biggest metal festivals this summer, appearing at Wacken Open Air on 04 August, the same day as HELLOWEEN, ARCH ENEMY and DIMMU BORGIR; and Bloodstock Open Air on 10 August alongside JUDAS PRIEST, EMPEROR and KAMELOT. The band will also tour Japan with ANTHEM as part of the Headstrong Festival 2018 and performed at the Vans Warped Tour Japan last month. Backed by a live orchestra, Yoshiki was invited to perform the closing song at TV Asahi’s “Music Station Ultra Fes 2017″ on Monday, September 18th. Playing a special arrangement of the X Japan masterpiece, “Forever Love ‘Life, Death, and Love…’ Piano with Orchestra Version”, which was prepared specifically for this day, Yoshiki brought an emotional finale to the 10-hour long special program which featured a total of 57 artists. Marking the first time an instrumental piece without vocals had ever closed the special television event, Yoshiki’s first musical performance on television since his surgery had received a lot of media attention since its announcement. He appeared on stage without his neck brace, showing the painful scars from his surgery four months ago. As he performed on the TV Asahi stage, a powerful montage of images — Yoshiki flying around the world, his energetic drumming, the deaths of his band members, his own neck surgery, his career with X Japan, and his personal history — played in the background, triggering comments on social media such as “I have goosebumps… riveting”, “Yoshiki is so amazing!”, and “I can’t stop crying” as fans expressed their awe and praise for the elegant musical presentation which climaxed in a shower of rose petals. Afterward, Yoshiki returned immediately to Los Angeles to work on the final touches of the soon-to-be-released X Japan album. Later, in October, he is scheduled to tour a total of 10 countries to promote the European theatrical premieres of the award-winning documentary film, We Are X.
Radiant A sees Japan’s “groundbreaking” metal quintet Aldious unleash their first overseas album on 17 March, 2017, out on CD and digital formats in the UK and Europe via JPU Records. I first came across Australian guitarist Tommy Emmanuel about four years ago learning about Travis picking (a form of fingerstyle playing). And ever since I wondered what it would be like to see the great man in person because -and this is not hyperbole- numerous Youtube videos suggest he’s something quite special. Recently Mental Hamster ran a top ten BABYMETAL tracks OF ALL TIME!!!!!!! and over here at Najinsan I was all like “Eh? That looks like they’ve cobbled together ten tracks at random as a simple exercise in clickbait” and then I was all like “I bet I can make a better list simply by putting in one extra song and suffixing with MORE HYPERBOLE! I ran into this album on Youtube by obscure American rockers, The Rods. The album cover features two metal monkeys and the Silver Surfer in the middle pointing a sword at a plate. I recall enjoying this album where it was tagged onto the end of a Vow Wow bootleg my school mate brought over from Dubai. If you like Dio, AC/DC, Anvil, Cobra etc then you will enjoy this. Additional enjoyment features include daft lyrics like “I was born to raaawk!” etc.